March may have arrived like a lamb but the March stamp auction more resembled a Dragon, with some huge prices being achieved and the Asian items taking top honours. A China PRC mint collection, including most of the better sets & Mini Sheets sold for a spectacular £30,680. The catalogue estimate of £20,000 clearly didn’t deter keen bidders with strong postal bids prior to the auction and also room bidders taking part. 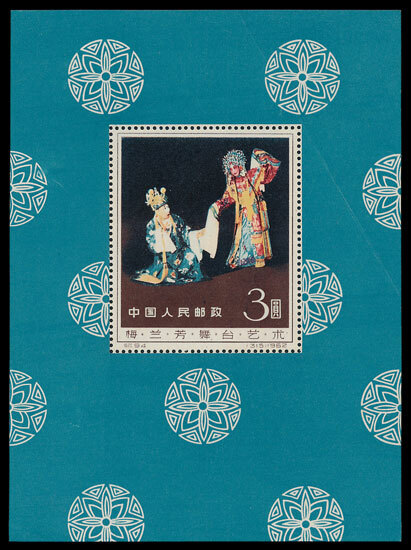 Also from China, a 1962 Mei Fan-lang M/S sold for £4,130, despite some obvious faults. An extensive Japan collection contained in 10 boxes attracted the interest of many buyers. Such a huge accumulation was always likely to sell well and the estimate of £1,000 was dwarfed by the final realisation of £9,440. 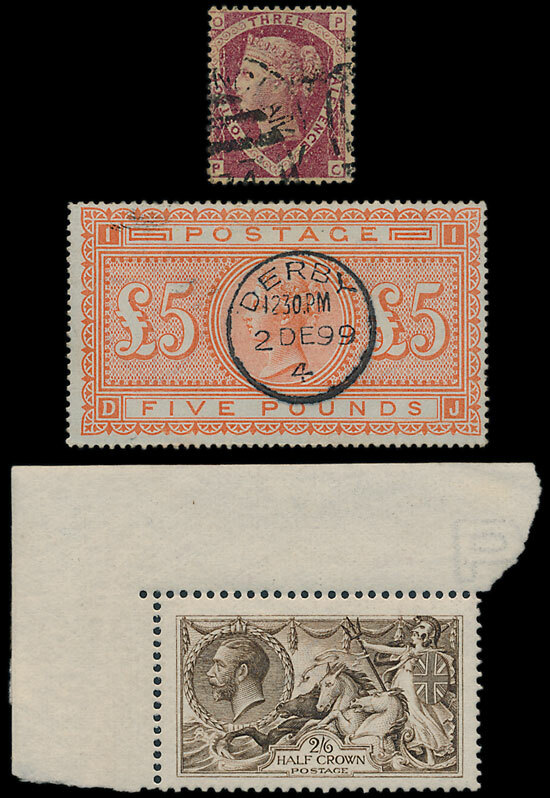 Examples of the 1870-74 1½d error with OP-PC for CP-PC are usually in poor condition, so a Fine Used example offered in the auction could have easily surpassed the hammer price of £566. This error wasn’t recognised until 25 years of the stamp was issued, but in recent years it has become a ‘must have’ for serious collectors. Also from the GB section a 1867-83 £5 orange with a superb Derby cds cancel sold for £1,300 and a 1913 Waterlow Seahorse 2/6d corner marginal sold for £366. A fascinating collection of Rotherham Postal History from pre-stamps to QEII, contained in 5 albums, sold for £1,770, easily besting the estimate of £500. 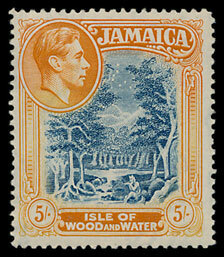 Amongst the British Commonwealth lots a Jamaica 1938-52 5/- line perf 14 sold for £2,830. 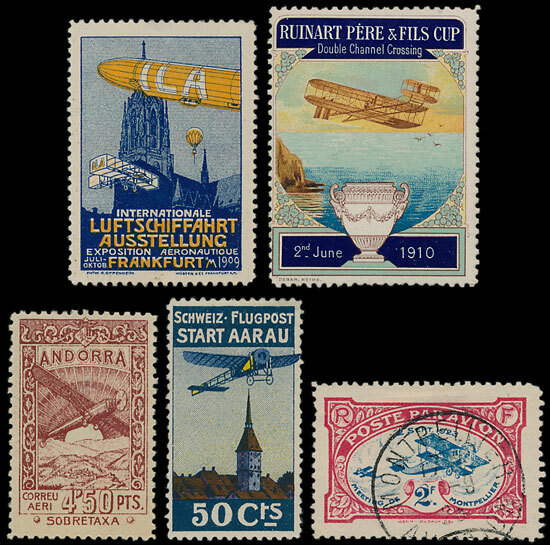 Less valuable though certainly fascinating, a collection of semi-official Air Cinderellas sold for £1,090.